As a collector of anything with or about Irish Wolfhounds, I was very pleased when my son showed me the Oric books. I ordered the first one, just to see if I’d like it. 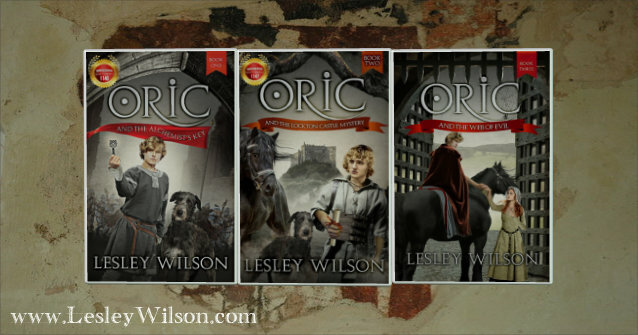 I enjoyed it very much and I ended up ordering the other Oric books as well. I like the way the characters age, and I was happy to notice, that not everything was peaches and cream in these books. People in those days DID smell bad and they DID have bad teeth. Those things are mentioned in these books as well. I loved the Irish Wolfhound (of course), but the books are fun and adventurous. I hope, that there will be another Oric book. I’ll be sure to buy it.